Sitting in the east of England, Newmarket is a market town in Suffolk. With a population of around 20,000, there’s a thriving property market in the area with plenty of homes putting the beautiful surrounding countryside to great use. At My Home Move Conveyancing we’ve been developing our knowledge of markets like in Newmarket since 2001, allowing us to bring our clients in the area a leading, fixed fee conveyancing service. If you’re looking to buy or sell property in Newmarket, you need to instruct property lawyers to carry out the legal work for you. 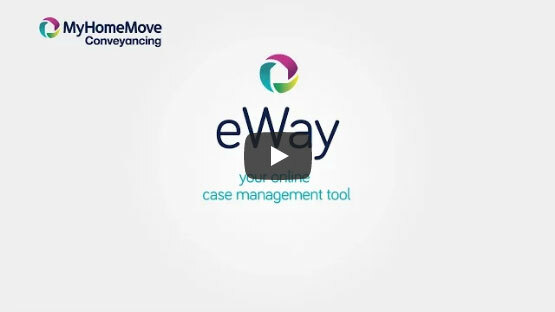 As your Newmarket conveyancers, My Home Move Conveyancing offers you our award winning customer service, innovative use of technology and expertise of the local area. Our fixed fee conveyancing service comes without any hidden extra costs, so you can budget for exactly how much you’re going to pay from the start. For complete peace of mind, if you don’t end up completing for some reason, you won’t have to pay us a penny in legal fees. Each of our clients is assigned a dedicated conveyancer, who’ll look after your case from start to finish. We aim to simplify the legal process and keep you informed with clear, easy to understand communication. You’ll even have online access to your account, so you can check up on your status 24 hours a day. At My Home Move Conveyancing we’re proud to supply our conveyancing services in Newmarket to customers across the local area, including for those looking for something close to the town centre, by the train station in the south of town, and in spots such as Hamilton Road and New Cheveley Road with their fabulous access to the rolling countryside. The average house price in Forest Heath is £208,981, while the overall average sale price in Newmarket during the last year was higher than this at £258,468. Most sales in this period involved terraced properties, which went for an average of £216,235. Detached houses sold for £412,807 and flats for £180,597. Originally known by its Latin name Novum Forum, the English translation of Newmarket was later applied to the settlement. The town is widely considered to be the birthplace of horse racing, and it’s the largest racehorse training and breeding centre in Britain. A large proportion of the town’s economy is based around the industry, with over fifty training stables and two large racetracks in the area. Newmarket is around 65 miles north of London, and just to the west of Cambridge. You can take a train to the English capital in around an hour and 20 minutes, while it’s around 25 minutes to get to Cambridge. The A14 is the main road which serves Newmarket, while the M11 is the closest motorway and runs just past Cambridge. For families with young children, there’s a number of primary schools in Newmarket to choose between, including Houldsworth Valley, All Saints CofE and St Louis Catholic Primary. All of these schools feed into Newmarket Academy, which is the town’s only secondary school, providing education for children aged up to 18. All properties in Newmarket will fall within one of the following council tax bands.